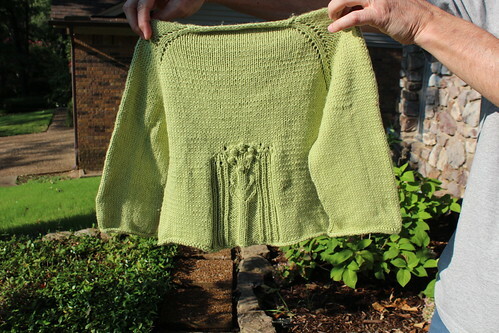 I FINALLY finished the Papoose’s Olivia Petit sweater this week. 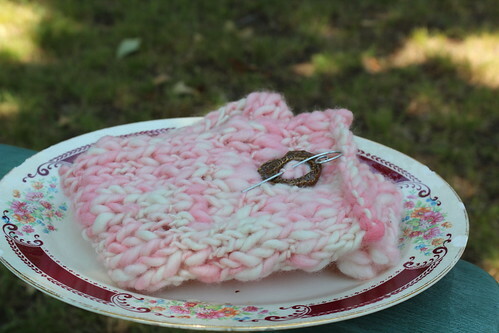 If you will recall, I had intended to knit three (what was I thinking??) of these sweet sweaters, one for each grand, for Easter. Clearly, I must have been intoxicated from the heady fumes of possibility that this pattern was emitting at that particular point in time. 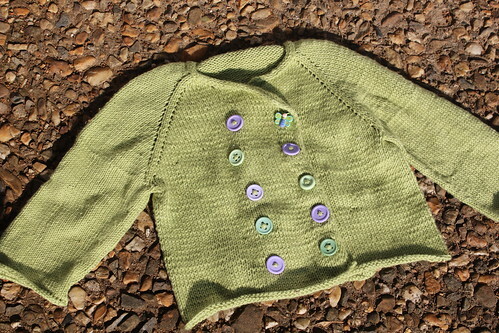 Be that as it may, here’s the finished product, blocked, with buttons and ends woven in. Remember this? 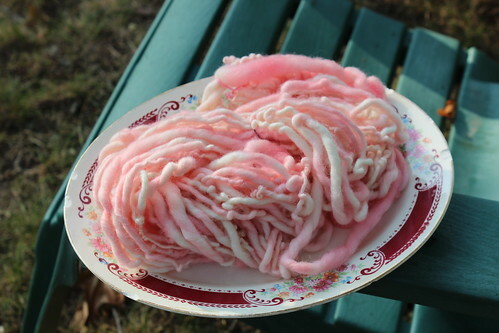 My very first handspun and dyed yarn? 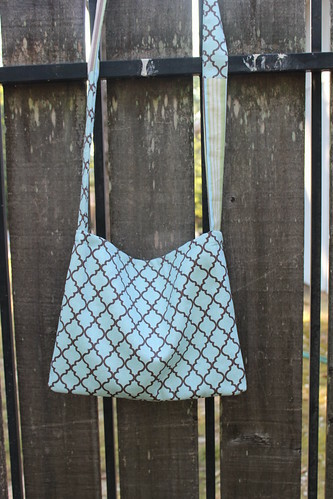 Here’s what I made yesterday – I’m getting more confident all the time on the sewing machine. I think I might make a trip to Jo-Ann today and brainstorm. I have to admit I’m more than a little proud of myself. On Monday, I couldn’t even thread the machine! 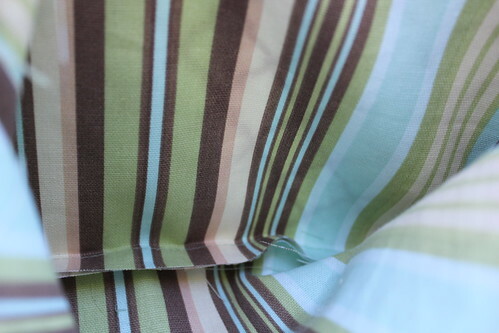 Still on a learning curve, but I can see the possibilities that knowing how to sew will open. I’m linking up again with Tami and Frontier Dreams KCCO. Pay a visit, willya?